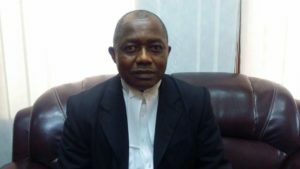 Justice Mofred Sesay, Judge of the Appellate Court of Sierra Leone,has yesterday (Wednesday 16th February) admonished jurors to be attending court sittings at all times, adding that the Judiciary was working hard to address their challenges. Justice Sesay admonished the jurors in an open court yesterday while presiding over a murder trial involving three young men. He told the jurors that him and other judges were pushing very hard to ensure that the Judiciary looks into their (jurors) perenial challenges. Over the years,jurors have been expressing frustration that they were going through several constraints. They have been complaining that the judiciary had not provided them with offices and that most times they will have to sit on the floor outside the courtroom while waiting to sit on murder trial. They had also complained that the Judiciary had not provided them with toilet facility and that they always pay to use the public toilet at the Law Court Building. “We are humans and we have families to take care of my brother, coming to court all the time using our own resources and at the end of the day return home with nothing will do us no good,” they said.